I started mineral collecting right after I graduated from Earlham College in 2006 and two years later I earned my Masters of Art in Teaching at Earlham College in 2008. 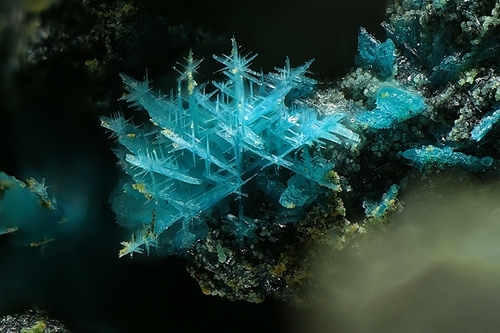 I fell in love with minerals when I took Mineralogy and the mineral specimen that took my breath away (and got me hooked) was this particular dioptase from Erik Louw's and Marshall Sussman's Collection, (http://www.mindat.org/photo-18577.html). As I have gotten older, my focus on mineralogy has shifted, though I still have a collection of minerals from worldwide localities. My main focus are specimens from my home state of Ohio and minerals from the Illinois-Kentucky Fluorspar District. 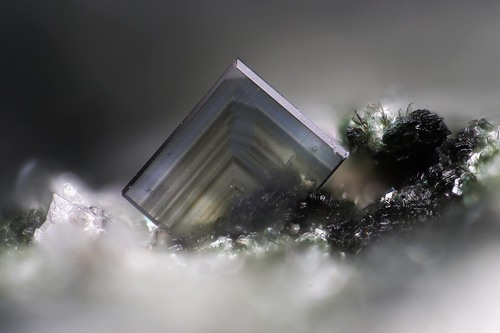 My favorite minerals are fluorite, celestine, and dioptase. Besides collecting minerals, I also enjoy learning about historical information about mineral localities and try to share my knowledge that I have found on Mindat. Finally, I also belong to the Cleveland Mineralogical Society. If you are interested in joining the club, go ahead and send me a private message! 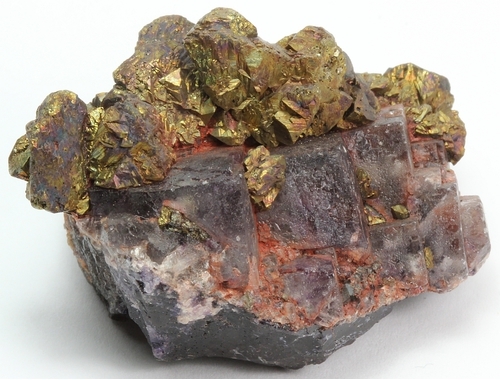 This page lists Jamison K.'s favourite minerals, localities and photos. All lists in alphabetical order. 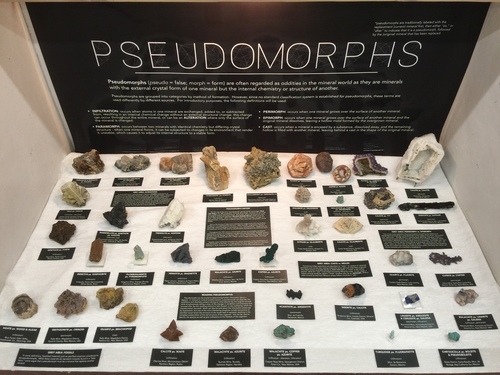 I've put in my Pseudomorph case again, with a few new additions. Group of iridescent chalcophanite crystals (unusual for the species), with very small cryptomelane spheres. Alves, P. and Kampf, A.R. (2017) A mina de ferro e manganês da Herdade dos Pendões, Odemira, sudoeste de Portugal. Acopios, 8: 17-62. Light purple fluorite crystals to 1.4 cm on edge (which is very good sized for this locale) are topped with iridescent chalcopyrite crystals. Fluorite crystals were rare at Pilot Knob Mine! 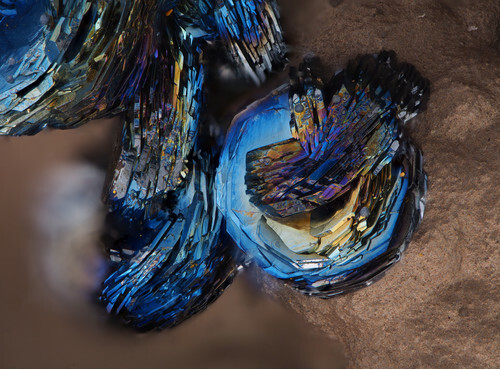 Deep blue intergrown crystals of clinoclase on quartz with goethite. This specimen was given to me by John Dagenais. Thank you John. Langite (visually identified by Uwe Kolitsch). 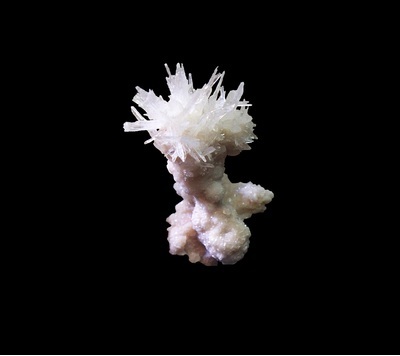 An unusual reticulated group of twinned crystals. 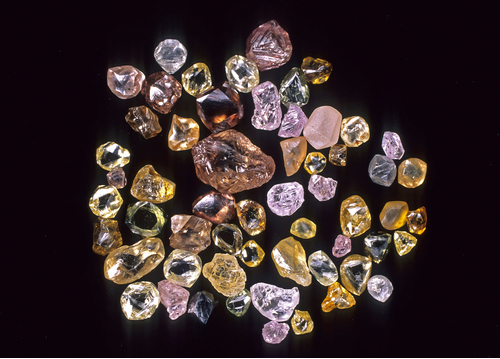 A few dozen carats of various fancy coloured diamonds from alluvial diggings in and around Kimberley and Barkly West. The field of view is only an approximation. Diamonds kindly loaned by CS Diamonds. A marvelous piece of Alpine fluorite on matrix. 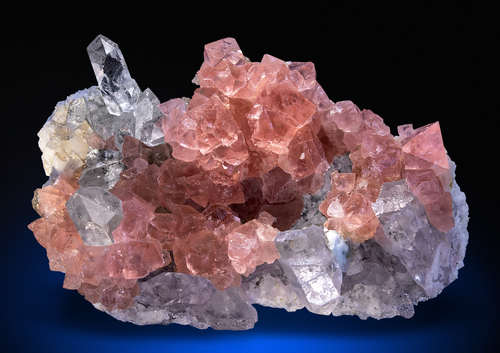 The pink octahedrons are tightly packed on a snow-white matrix, accompanied by some brilliant quartz crystals. The fluorite is mostly transparent, lustrous and generally in fine condition. Some contacts here and there do not disturb from the overall visual splendor of this classy specimen. The quartz on the upper left was moving just a little, why we stabilized it to make sure not to get it loose. Absolutely breathtaking in person and a real Alpine rarity of highest quality! 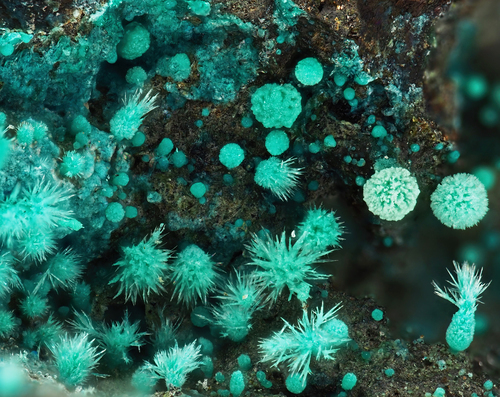 Nice group of malachite inside a copper slag vesicle. 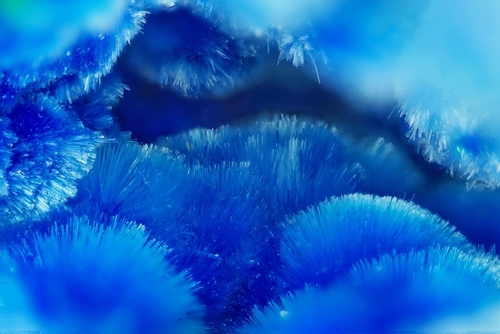 Also in the picture deeper green thin crystals of a copper sulphate (brochantite, antlerite?). 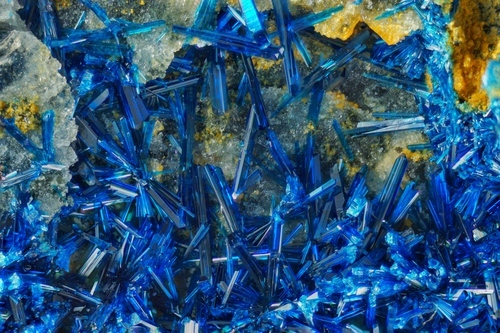 Bright blue crystal sprays of Cyanotrichite, which is on a clay-like matrix. Other minerals associated, but not in the photograph are Brochantite, Chalcoalumite, and Grandviewite. I obtained this specimen from Tim Rudziensky. 24th Oct 2012 - Re: A "question for metaphysical folks"
20th Feb 2008 - Re "A Conundrum"